With the complete help and support of our team members, we deliver product that is certified and in compliance with the standards. Only under the strict supervision and management of our team members, we make certain that the products are packed as per the set standards; by this we are capable of delivering the range safely. 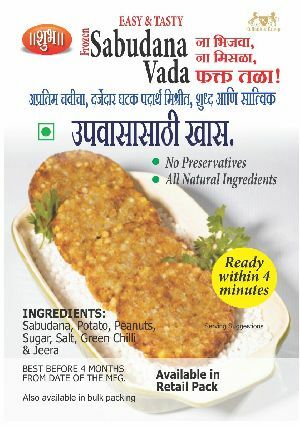 Used in past, no preservativ , in mix salt, chilli powder, Greenchilli, jeera, ready to only four minutes . 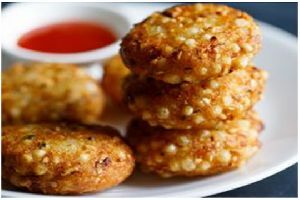 Sabudana Vada is one of the widely consumed Maharashtrain dishes, which is best served as breakfast item and evening snack. 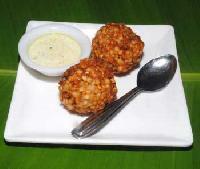 Processed under hygienic conditions, we make sure the original taste of Sabudana Vada is retained. 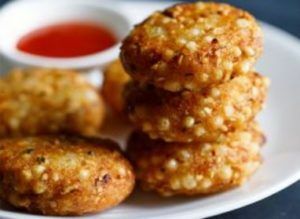 Avail Sabudana Vada in proper packaging. Karha Valley Agro Food Pro.co.